No Geeky Tales, just Awesome Adventures! If you love comic books, Star Wars movies, Geek Culture and general awesomeness, then you’ll LOVE Comixstravaganza! John Pyka, AKA “Big Daddy Cool” (Swing Magic, The Magic Cabaret, Diesel Powered Podcast, Tales From The Geek) is the host and producer of Comixstravaganza! He is the time-traveling, comic book-loving, Dieselpunk Prophet of Pop Culture! Comixstravaganza also stars former “geek girl” model and actress Dee Bartee! Together they are the Power Couple of Pop Culture! PLUS surprise guests, product and game reviews, and live performance segments! You can catch the show right here every Wednesday at 7pm CST. John Pyka is also known as the character of “Big Daddy Cool” Johnny Dellarocca. He is a lifelong comic reader and collector, a Star Wars “freakasaurus”, Pro Wrestling fan, and Movie fanatic. He is best known for his work onstage as a new vintage variety artist, fusing music and magic with comedy and dance in a 1920s – 1940s style in what is described as “Dieselpunk.” He can be seen performing in theaters, at festivals and cons around the country. He is also the author of 4 books on magic, including Theatrical Magic. His first novel, Tales From the Flip-Side is published by Pro Se Press and is available everywhere books are sold! John is also the producer and host of the Diesel Powered Podcast, THE Voice of Dieselpunk on iTunes and Stitcher. He was previously seen as the host of 117 consecutive weekly episodes of Tales From The Geek, and is now the producer and co-host of Comixstravaganza seen here and heard weekly on iTunes! Dee Bartee is the original Geek girl. John and Dee started together to create Tales From The Geek. Dee appeared on 50 episodes before taking a hiatus. She returned to Tales From The Geek with Episode 98 and remained on the show until the TFTG ended in early 2015. 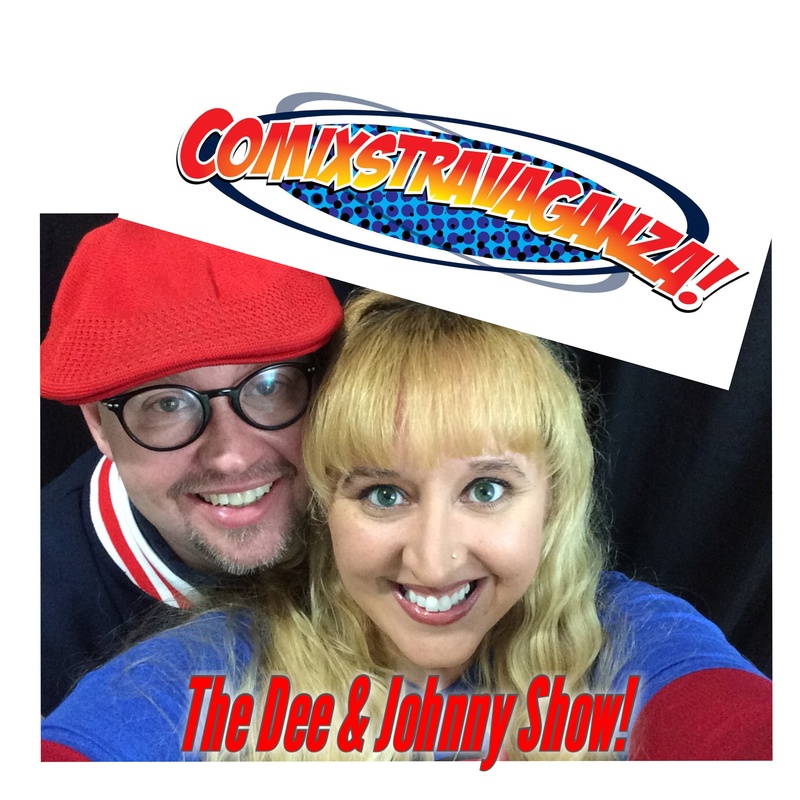 Dee took a break to focus on being a mom, but her friendship and on air chemistry with Johnny couldn’t keep her away, and she has returned to the air to join Johnny for the weekly Comixstravaganza “Dee & Johnny Show” live stream seen right here at Graphic Policy! Thanks for tuning in, and thanks to Graphic Policy for being a fantastic partner! Great stuff! For a great giveaway! Static X should do the soundtrack for Batman Beyond like they did with the cartoon series.